A surfer and his board are covered in oil after the 1969 Santa Barbara oil spill. 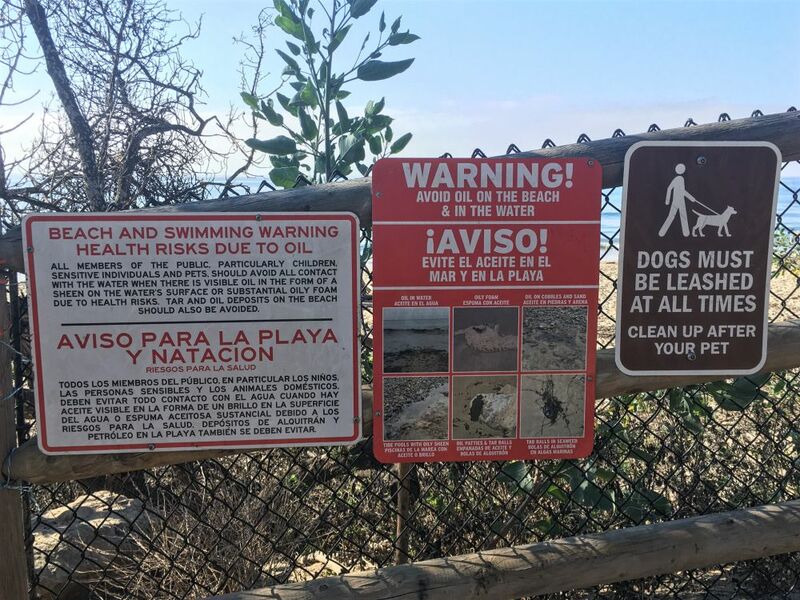 Signs above Summerland beach tell the story of the lasting effects of near-shore oil drilling. Untold numbers of wildlife were killed when oil found beaches in three counties. The massive spill spurred a whole generation of activists against offshore oil drilling. 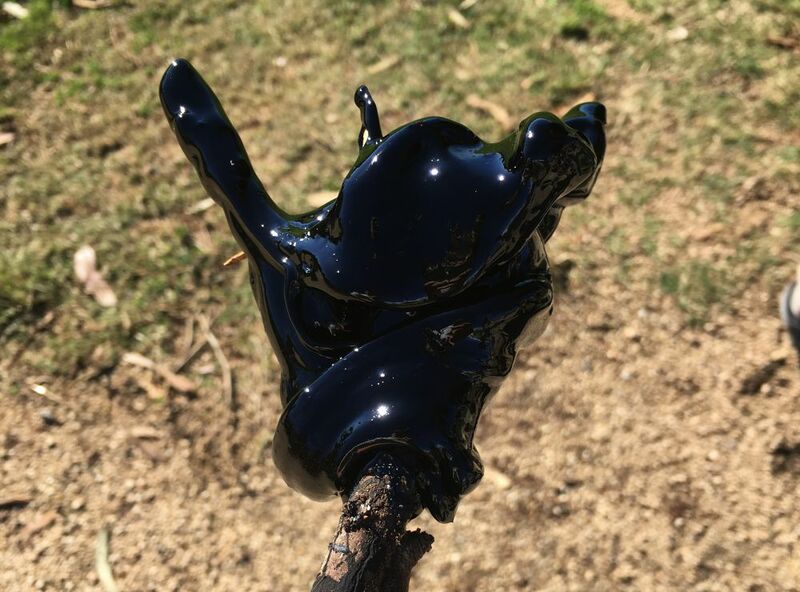 The Carpinteria Tar Pits are a reminder of the area's gooey history. The 1969 oil spill off Santa Barbara fouled beaches in three counties and killed untold wildlife. But it also gave rise to the modern environmental movement and sparked activism that has dimmed little in the following 50 years. UC Santa Barbara will host a symposium and a pair of exhibitions that will examine the legacy of the spill that is still the third-largest in American waters. First up is “Beyond the Spill: The History and Politics of Oil in California,” Thursday and Friday, Jan. 24 and 25. It is presented by the Mellon Sawyer Seminar on Energy Justice in Global Perspective at UCSB. The event kicks off with an opening reception and exhibition on Jan. 24 from 5 to 8 p.m. in the campus’s Digital Arts and Humanities Commons and Wireframe Studio (Music Building Room 1410). Brenda Longfellow, an associate professor in cinema and media arts at York University in Canada, will be the artist in residence and will present an interactive documentary. The exhibition will also feature digital material from “A Field Guide to Oil in Santa Barbara,” an interactive archive and map created by graduate students in the Fall Quarter 2018 Sawyer Seminar course. It is curated by Emily Roehl, the Mellon Sawyer Seminar Postdoctoral Scholar. The students from a range of disciplines collaborated in teams that focused on five sites in Santa Barbara County still impacted by oil drilling: Summerland, Refugio State Beach, Coal Oil Point, Carpinteria’s Tar Pits and the Santa Barbara Harbor. On Jan. 25 the symposium “Beyond the Spill,” will feature panels, a workshop and a keynote by Imre Szeman of the University of Waterloo in Canada. It all gets underway at 9:30 a.m. in the Multipurpose Room of the Student Resource Building on campus. The keynote and closing reception begin at 4 p.m. in the Betty Elings Wells Pavilion of the university’s Club & Guest House. Roehl said one of the key goals of the event is to put into context the legacy of the spill and how its effects still linger in the region. Javiera Barandiarán, a co-organizer and a UC Santa Barbara assistant professor of global studies, noted that until “Slick Policy: Environmental and Science Policy in the Aftermath of the Santa Barbara Oil Spill” (University of Pittsburgh Press) by Teresa Sabol Spezio was published in 2018, the academic community had not thoroughly examined the political causes and consequences of the disaster. Many in the general public, she said, have lived with the memory of the spill for so long it is sometimes taken for granted. In the UC Santa Barbara Library, two exhibits will revisit the spill — one in-depth, the other through art. The first, “Anguish, Anger and Activism: Legacies of the 1969 Santa Barbara Oil Spill,” will run Monday, Jan. 28, through Sunday, June 16, in the library’s Special Research Collections (Mountain Side, third floor). There will be a talk and reception with environmental activist Marc McGinnes on opening day from 5 to 7 p.m. It is free and open to the public. Curated by UC Santa Barbara librarians Kristen LaBonte and Annie Platoff, the exhibit will examine the connections between the historic disaster and environmental activism in the local area. LaBonte said the exhibit tells the story of the spill, cleanup efforts, effects on wildlife, local activism, progress through public policy, the birth of Earth Day a year later and more. The items on exhibit reflect an exhaustive search of Special Research Collections and the Online Archive of California, LaBonte noted. “So much activism came directly out of the spill and it needed to be highlighted and celebrated,” LaBonte said. “Annie Platoff did an incredible job visualizing what each case or area of the exhibit could highlight and it provided a framework for finding additional objects. Once we had the full scope of materials, we decided to tell the narrative in the voices of individuals that had been interviewed about the oil spill by the Pacific Standard Magazine and the Los Angeles Times. Along the way, a number of UCSB Library staff supported the process with digitization, creation of artwork and sharing their intimate knowledge of the collections with us. “It’s a work that explores themes of consumerism, our continued addiction to oil and beauty in tragedy,” LaBonte said. The event is free and open to the public, but tickets must be reserved online.